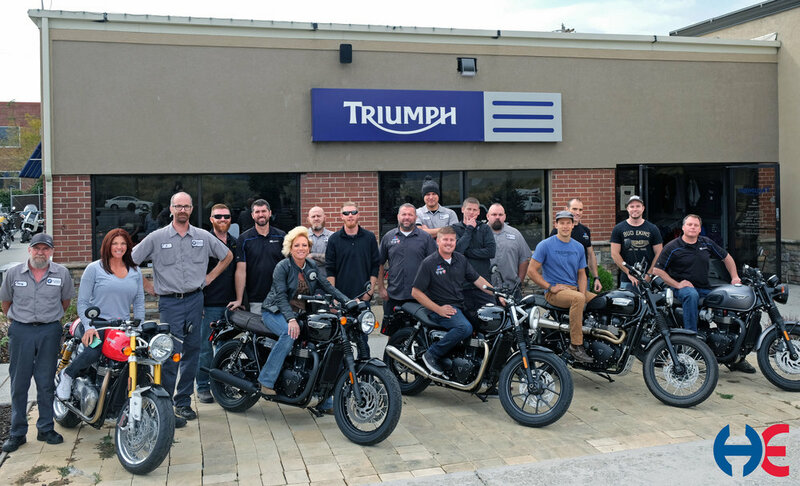 Triumph of Utah is a part of Harrison Eurosports, Utah's Exclusive European Motorcycle Dealership. With a wide selection of Triumph's latest motorcycles & riding gear, we'll get you ready for the ride ahead. Our parts and service department is prepared to help with any Triumph, regardless of age. With a staff of trained technicians, whether you need a fix or an upgrade, we're here to help. We hope that you'll share our passion for Triumph's with us and invite you to demo the latest from the British brand. Come see our friendly and professional sales staff to learn more.